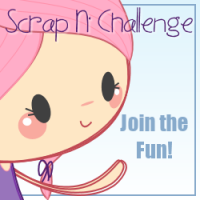 It's time again for my favourite part of the challenge, announcing the winners! Love is in the air this month, and in all of the challenge creations! Such sweet and loving cards this month! Now let's get right to it! The winner of this month's challenge is: #3 Helen! Her project features a large decorated heart and it's simply adorable! #2 - Marie Flayer! Her card is nothing BUT hearts! #5 - Lisa! 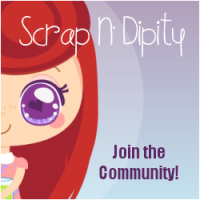 She's made a lovely card featuring Scrap N' Dipity's very own Ambrosia Fairy and she's on an action wobble!